Molly recuperates from her injury, while Malvo looks to dispatch a syndicate in Fargo. Lester continues his descent into darkness with the unfolding of his plan. Gus Grimly: You want some pop or something? Molly Solverson: No, I want a new spleen, that's what I want, so you know, better get cracking, mister. 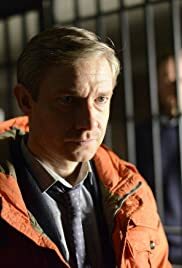 i'll get you a new ham..
Martin Freeman's character has developed perfectly and was a smart approach by the writers to justify it by depicting the process through survival and an amazing background score; (had to mention it) it's brilliant.